Together, Lille City Hall and Le Groupe La Poste are committing to developing innovative urban logistics solutions. 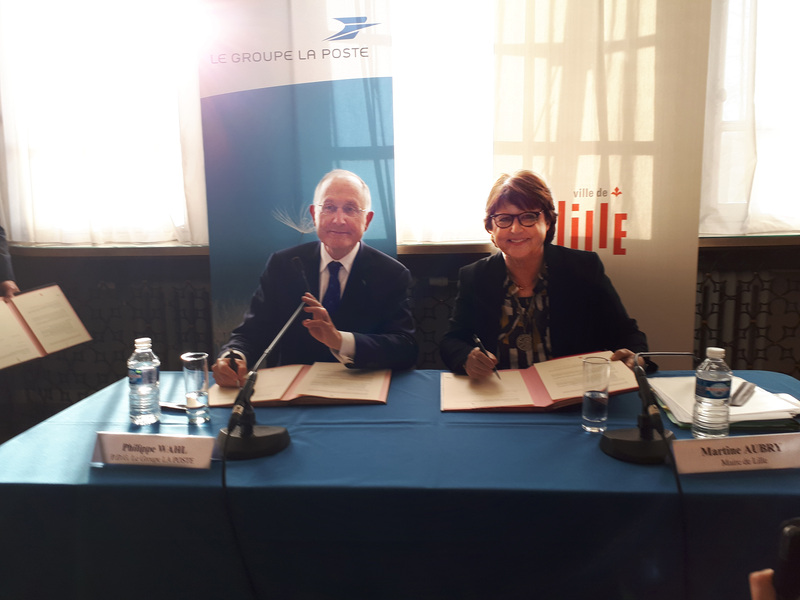 Martine Aubry, Mayor of Lille, and Philippe Wahl, CEO of Le Groupe La Poste, signed a three-year partnership agreement on 16 February aimed at developing a range of innovative urban logistics solutions. The goal? To reduce road congestion, improve air quality, strengthen the appeal of the city centre and support local businesses. This agreement will mean infrastructure and vehicle fleets can be organised in such a way as to deliver more and more parcels better than ever before. As explained by Philippe Wahl, “Over the next seven years, the number of parcels delivered across France will double. The future of our cities, and particularly Lille, is at stake here. Le Groupe La Poste therefore has a big role to play in optimising these deliveries by opting for non-polluting vehicles”. To mark the occasion, La Poste presented its new vehicles, which run on electricity and natural gas, in front of Lille City Hall (photo 1). 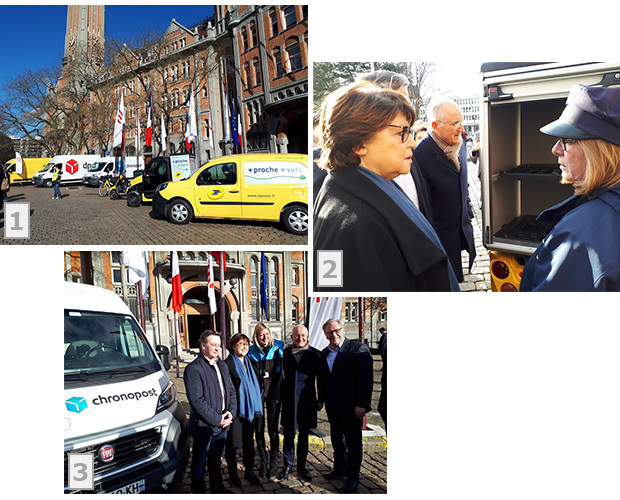 Anne Ruythoorens, a postwoman from the Lille region, introduced her Quadeo vehicle to Martine Aubry and Philippe Wahl (photo 2), whilst Angélique Sbraire, Operations Manager, assured those present she “had delivered the sun” with her NGV, or natural gas vehicle, in Chronopost colours (photo 3). contributing to regional cooperation in order to develop innovative urban logistics solutions that involve a digital component.